Chinese medicine is very well known throughout the world as a great alternative to healing without traditional man-made drugs. 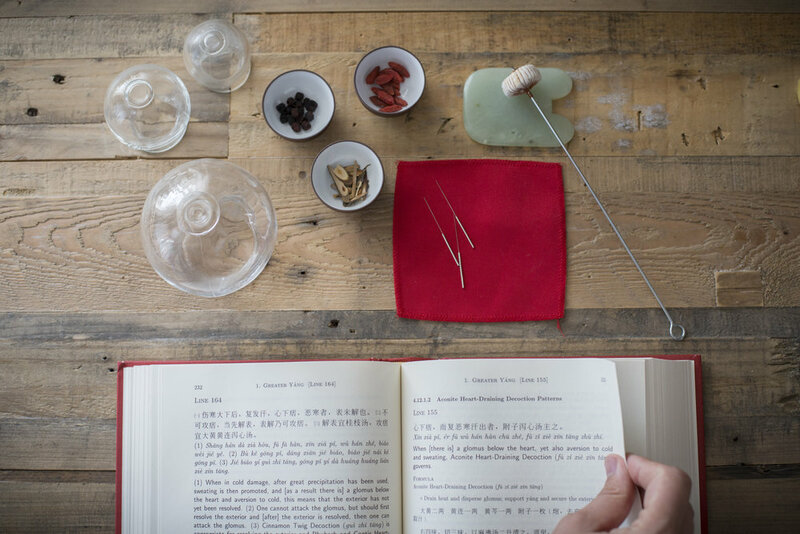 Here at The Source, we utilize the four branches of Chinese medicine with an offering of herbs prescribed from our own master of Chinese medicine. Chinese medicine is a complex and sophisticated natural medical system that has existed for thousands of years. Chinese medicine is the primary medical system in many countries and continues to successfully treat millions of people in our modern time. The strength and efficacy of Chinese medicine originate in its longevity and the experience of the thousands of physicians in its long storied past. Chinese medicine works by restoring balance to human physiology, thus diminishing illness, and optimizing health. Attuning the body to the individual's respective environment creates harmony and health naturally. Chinese medicine accomplishes this by utilizing several clinical modalities, such as acupuncture, herbs, moxibustion, cupping, gua sha, and medical massage, and is ultimately maintained by lifestyle. Chinese Medicine works even better as preventative medicine. From the perspective of TCM, chronic and severe health conditions can often start with something as simple as a chill, a common cold, or traveling between varying climates. These pathologies and symptoms that indicate a damage that has occurred to the immune system, and if left untreated and unresolved could later lead to a more severe chronic illness, such as many autoimmune diseases. Treating conditions before they have the ability to manifest, is the best way to ensure healthy long life! Acupuncture utilizes the body's meridian system to stimulate health, and balance the body's internal environment which then resolves health disharmonies and issues. The meridian system is comprised of a circulation system of Qi and Blood, and each meridian is directly related to their own respective internal organ. Acupuncture utilizes the use of hair-thin filiform needles to puncture specific acupuncture points on these meridians to influence the circulation and functionality of the internal organs back to a state of health. Acupuncture is commonly known to treat pain syndromes but is very effective at treating a plethora of internal medical problems as well. Herbal formulas are custom prepared for each individual's constitution and respective health concern. Chinese herbal formulas are herbal blends based on ancient herb combinations that have been used for thousands of years. Chad has studied in the Tian family lineage that is based on applying formulas utilizing the principles of the Shanghan Zabing Lun (Treatise on Cold Damage and Complex Disease), which was written ca. 200 A.D by Zhang Zhongjing. In this lineage, a radial pulse system is the guiding diagnostic principle used to derive herbal prescriptions from information that is directly relayed from the body to the practitioner. This system has been effectively used on over a million patients in the past century alone. Our Chinese Medicine practitioner is available by appointment to create a treatment plan that is tailored to your individual health concerns and constitution. Chad Lanphear, MTCM, LAc is a California Licensed Acupuncturist and Herbalist. He earned his Master of Traditional Chinese Medicine degree from Five Branches University in Santa Cruz where he specialized in internal medicine and spent time as a clinical extern at the Zhejiang University of Traditional Chinese Medicine in Hangzhou, China. Chad is currently a Doctoral Fellow at Five Branches University. Chad provides an interdisciplinary and holistic approach to your experience through extensive pulse analysis, herbal and nutritional consultations with custom formulas, and acupuncture. He has a wide range of clinical experiences, having treated people of all ages for a diversity of health issues including autoimmune disorders, chronic illnesses, pain and injuries, stress, anxiety, digestive problems, respiratory problems, hormonal imbalances, fatigue, skin disorders, allergies, fertility, and gynecological issues. He is dedicated to working with you to find the most effective and nurturing path towards restoring your health and well-being.